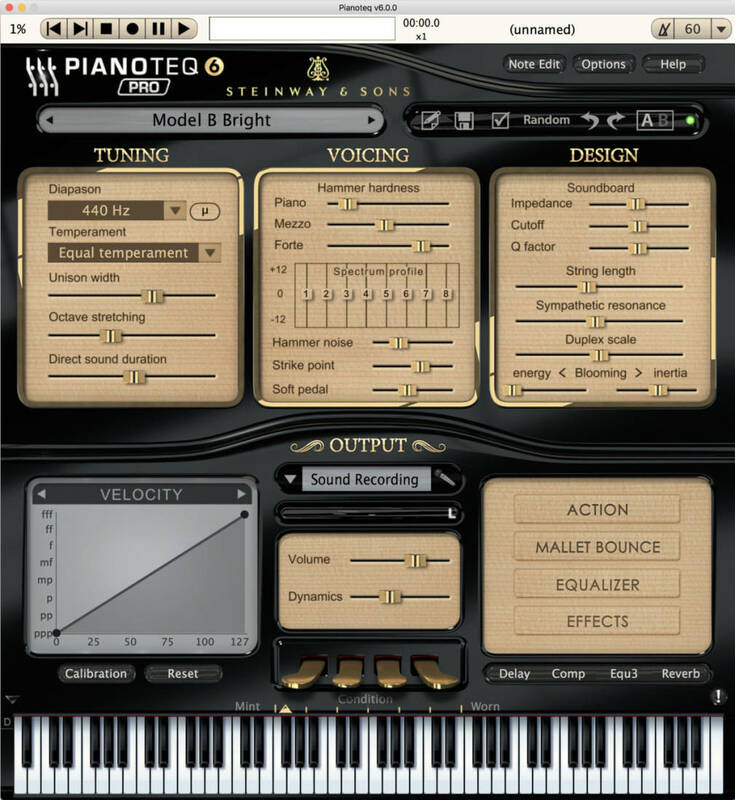 Pianoteq 6 PRO is the ultimate product for professional composers and recording studios and has proved to be an indispensable tool in many recording projects - from movie soundtracks and tv commercials to the latest hit songs. 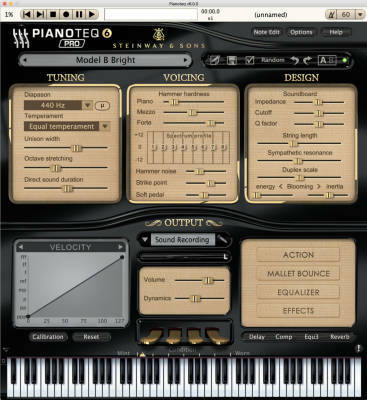 By being physically modeled, Pianoteq PRO brings you an extremely sophisticated tool for sound shaping and instrument creation, letting you create your own unique sounds that will enrich your projects. The PRO version works with internal sample rates up to 192 kHz. By using its powerful Note Edit feature, you are able to adjust physical parameters for specific ranges, and even note by note. You can also turn any Pianoteq instrument into a multi-instrument by using advanced keyboard splits for up to 105 notes (concerns instruments with extended octave range). The note editor is designed so that you can work with it effectively - it saves you time and increases your creativity. On top of this, its spectrum profile editor lets you adjust each overtone for each note, bringing you thousands of sound combinations that will help you find your own unique instrument.